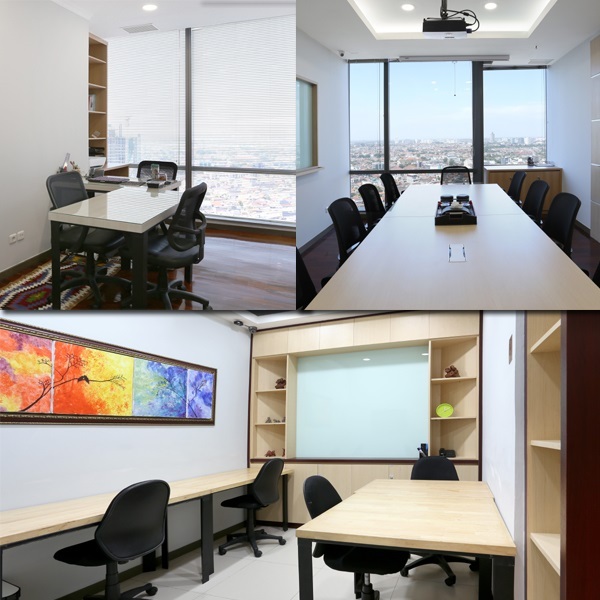 Ready to use Offices Fully Furnished, high quality serviced offices jakarta and virtual office jakarta provide a conducive workspace. Before discussing the 7 reasons for choosing a virtual office in Jakarta, one of the reasons why you should choose a virtual office is because of the high cost of office rent in big cities especially Jakarta recently which has become an obstacle for businessmen in developing their business, but the presence of Virtual Office has become the solution of it. For more details, let us refer to the following article. With the cost of shop rental more expensive, The presence of virtual office seemed to be a solution for businessmen. In terms of a cheaper price would certainly save you more spending in running a business. 88 office itself fix the price of rent starting from Rp 385.000,- per month. Very affordable number, especially when compared with offices in high rise buildings with an increasing price tendency every year. If you open your own office of course you also need to pay installation fees for an equipment such as tables, chairs, electricity, water, telephone, internet and others. By using a virtual office can certainly save on spending because virtual office will provide all such services as a conventional office. Virtual office is generally located in the business district so it is certainly more prestigious and can increase the selling value of business and build public confidence that the company were exists. In terms of facilities like a modern office, businessmen will get a complete and modern facilities ranging from receptionist services, help secretarial services, meeting room, office phone, fax, until voice mail messages. Unlike the case when you rent a shop or building to be used as an office, the business will not be tied with a long contract. 88 Office itself provides a minimum of 3 months contract. With Virtual Office, you no longer need to bother having to come to the office every morning and fight against traffic jams like businessmen in Jakarta in generally. Because you can still work despite being in your bed. Believe it or not, a comfortable working atmosphere will make your work productivity increase. This is where it matters, because with Virtual Office, you will be able to work from any place that makes you comfortable and the growing ​​your creative ideas.